Prices starting at €39 for first time flyers. 480 €/H For skydivers - 20% discount. Twistair is an 8.2 ft diameter semi-portable Tornado tunnel located in Montpellier, France. 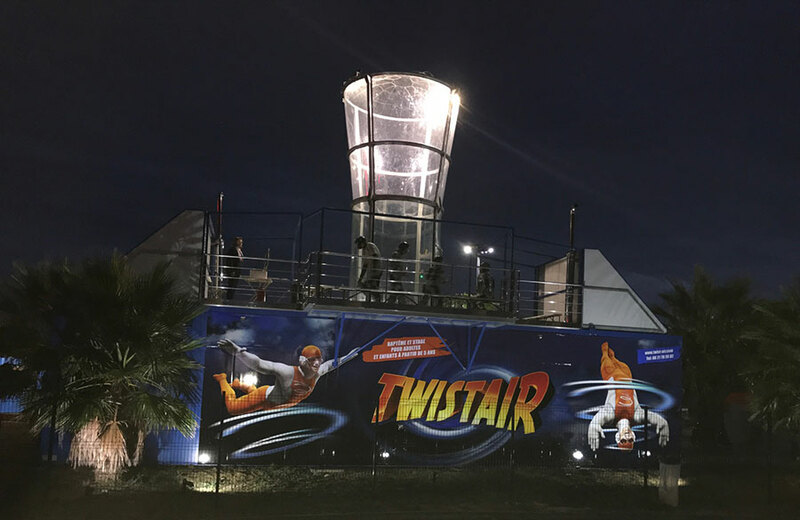 Twist-air is a free-fall simulator located in the greater Odysseum area of ​​Montpellier, full of other accessible activities; indoor climbing, trampoline, laser gam, restaurants, shops .... Also with a drop zone on Nimes at 20 '. Twist-air also offers coaching at very attractive prices.